John S. “Jack” McDevitt, of Chester, passed away, Friday, February 8, 2019, at the Stone Pear Pavilion, after a long illness. He was born August 7, 1927, in Cleveland, OH. to Edward and Mavis Shirley McDevitt. Jack was a 1945 graduate of Wells High School in Newell. He enlisted in the U.S. Navy and served during World War II in the Philippines. 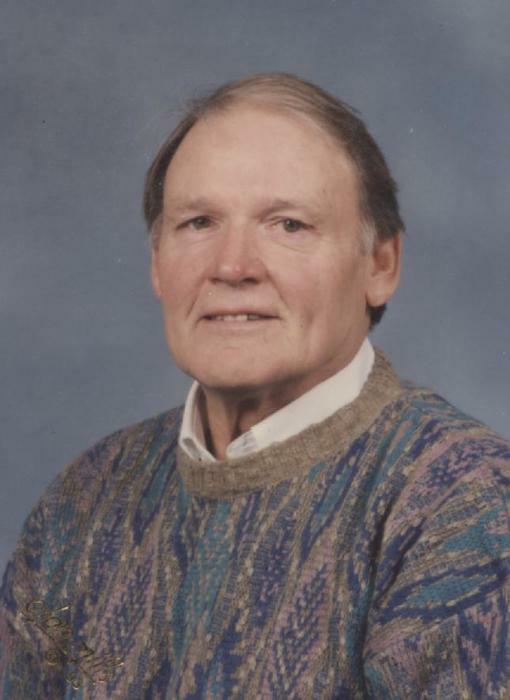 After his military service, Jack attended Fairmont State College, where he earned a degree in Physical Education and Art in 1950. While there, he played basketball and was a member of the Fighting Falcon Forty-Niners, who won the West Virginia State Inter-Collegiate title in 1949. Jack started his teaching and coaching career in North Carolina but returned home in 1952 to become the assistant basketball coach at Wellsville under Thomas “Tink” Healy. He also was on the coaching staff for football and baseball. In 1957, he took over as Head Coach of the Tigers and remained there for 10 more seasons. Jack was then named the head coach at Oak Glen High School from 1968-1972 when he retired from coaching. During his time there, he taught Art and Physical Education and over the years helped with the baseball, tennis and golf teams. He continued his involvement with sports as a basketball referee and P.A. announcer for Oak Glen football as the “Voice of the Golden Bears” for more than 20 years. Jack retired from teaching in 1987. Jack married Alyce Ann Eppley, August 9, 1957, in Newell. They were married 57 years until her death in 2014. Active in the community, Jack served on the Chester City Park Board and the “Last Dance” at Virginia Gardens Committee. He was a member of the American Legion, Chester VFW Post 6450, where he served on the House Committee. He was a member of Sacred Heart Catholic Church where he ushered and served as a money counter. Jack was an avid tennis player and helped promote and organize many tournaments in the area, as well as the East Liverpool Team Tennis League. In 1990, he was inducted into the Penn-Ohio Baseball Association Hall of Fame. Jack was probably best known in the area for his paintings of Rock Springs Park and other prominent homes, business, and churches in the area. He helped create the artwork of soldiers and ships depicted at the VFW Veterans Memorial Park in Chester. In addition to his parents, Jack was preceded in death by his wife, Alyce Ann, brother, Robert McDevitt and recently, his son, John McDevitt. He is survived by his daughter, Aynn (Jim) of Corpus Christi, TX., 2 grandchildren, Andrew and Kaitlyn of Texas, a brother, Jim McDevitt of Buena Park, CA., a god-daughter, Deanna Wedgwood Bellville of Chester, as well as several nieces and nephews. Father Jeeson Stephan will preside for Catholic Funeral Liturgy at Sacred Heart Catholic Church on Saturday, February 16, 2019, at 10:00 a.m. Interment will follow at Locust Hill Cemetery where the Navy Honor Guard and the Chester American Legion Post 121 and VFW Post 6450 Honor Guard will give full military honors. Friends are invited to visit with the family at the Arner Funeral Chapel in Chester on Friday from 3-7 p.m. The celebration of Jack’s life will continue Friday evening at Chester VFW from 7:30 to 9:30 p.m., and anyone who would like, is invited to join his family there.